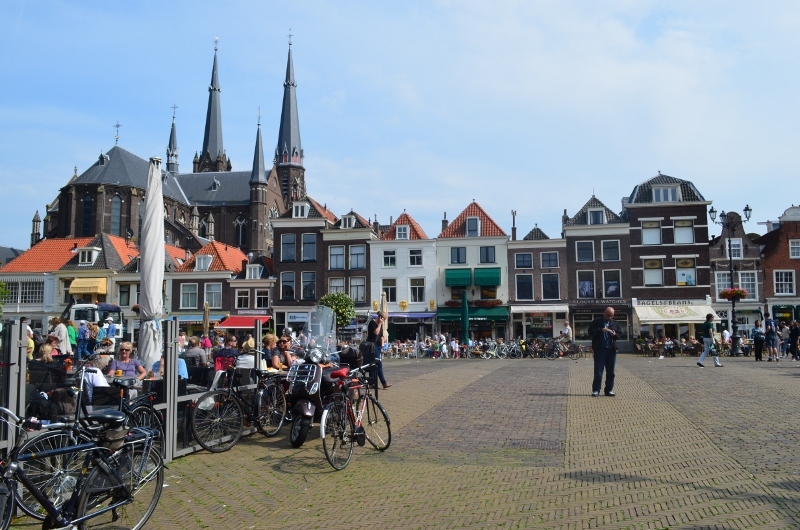 Having been in Amsterdam last year when we visited a working windmill, our choice this time was to tour the The Hague and the Delft factory. Rotterdam was heavily bombed in 1940 resulting in the medieval heart of the city being almost totally burned to the ground. 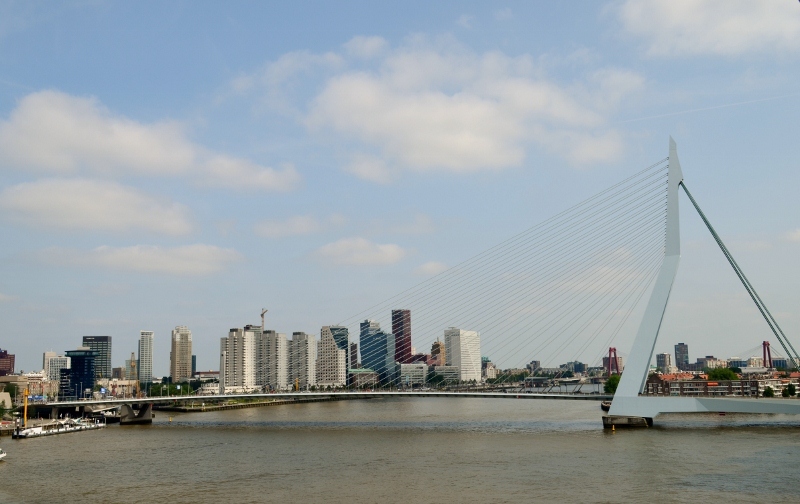 So in contrast to many other cities in Europe with very old buildings, the inhabitants of Rotterdam are very proud of their modern ones. En route, we passed lowland countryside dotted with farms, flower fields, cattle and sheep. We only saw a few windmills and we were told that diesel pumps move water nowadays and consequently, many windmills were destroyed. 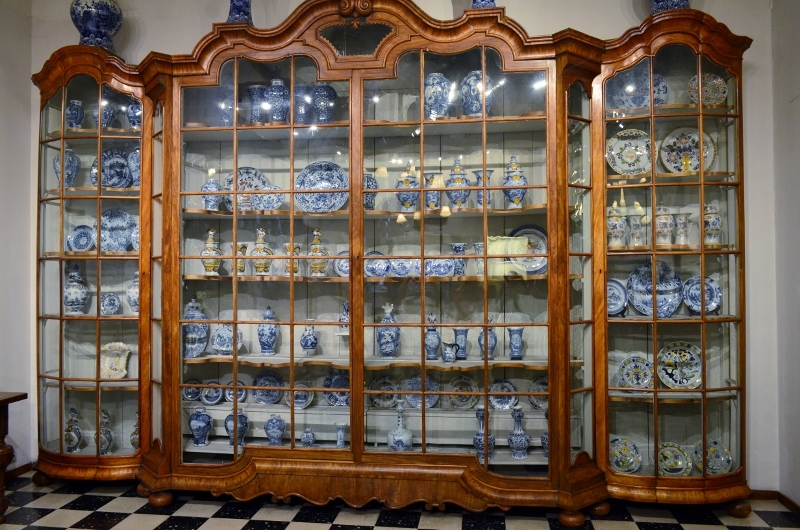 However the remaining ones are now protected as a symbol of Holland’s past. 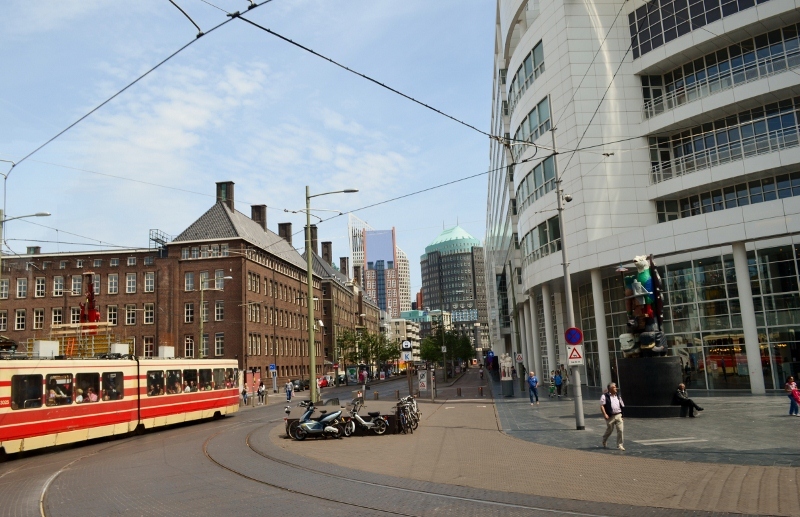 Our coach took us to The Hague, which is the seat of government even though Amsterdam is the capital. 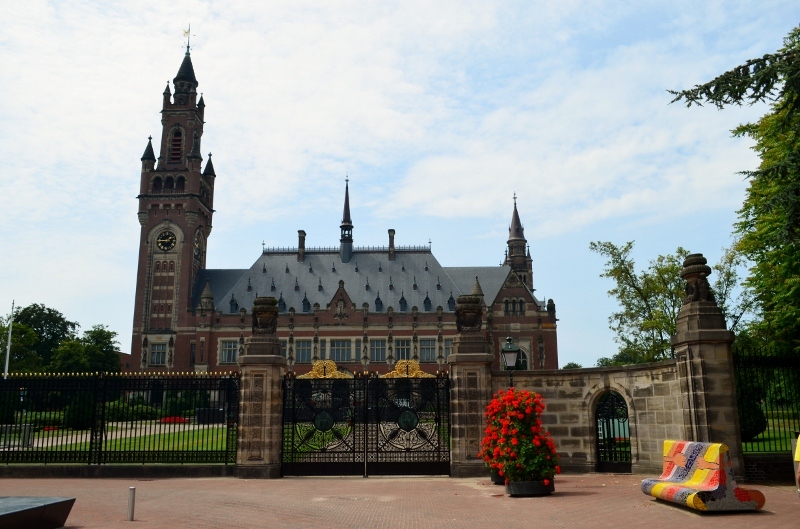 The Hague is also the principal address of the Royal family and the United Nations International Court of Justice. We stopped to see the Peace Palace built in 1913. 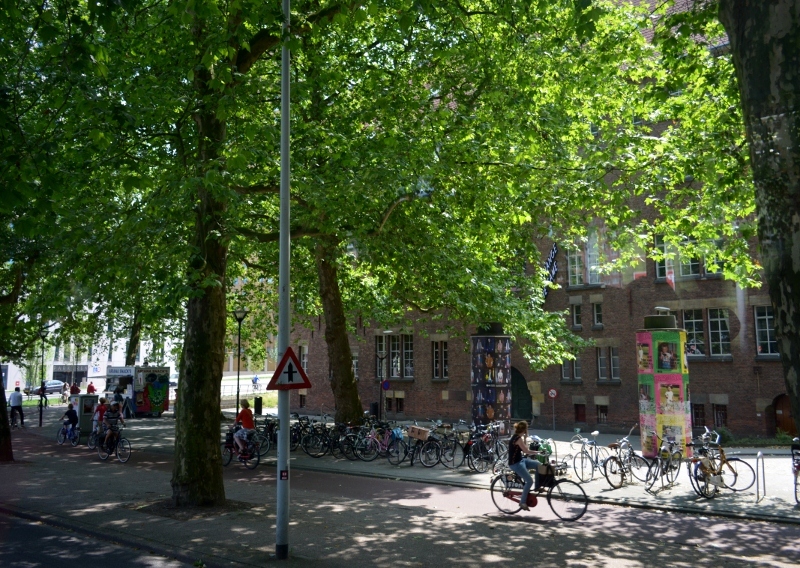 Along the way to Delft, we saw many people on bicycles, which is a favourite mode of transport. 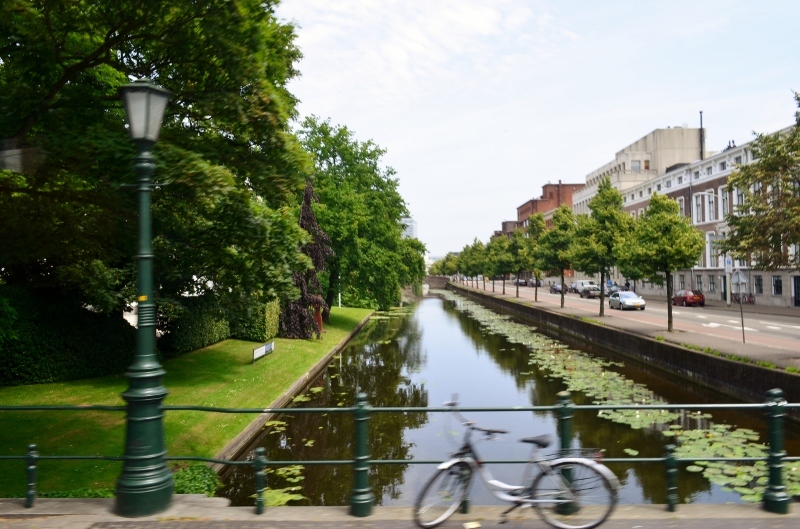 Bicycle paths are everywhere and can be identified by their red paving. Only bikes and motor scooters are allowed to use them and they have their own sets of traffic lights. They have right of way over pedestrians and bike helmets are not compulsory. Boats are to be seen along all the canals and permanent house boats are lined up along the banks. Everyone who has a boat pays water tax by the square metre according to the size of the boat. We were given a guided tour of De Porceleyne Fles (Royal Delft Factory) and it was very interesting to see a painter at work on a plate, which is a 10 year apprenticeship. 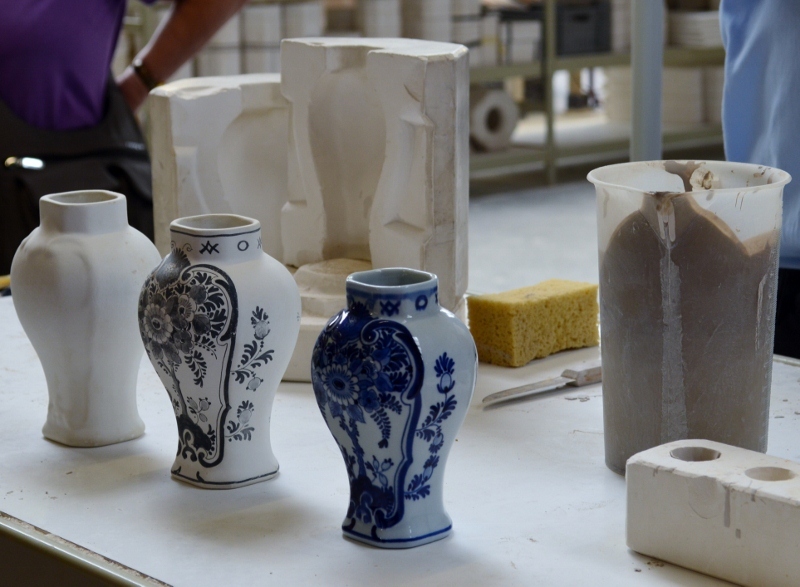 Two types of porcelain are produced – hand painted or by transfers. In the case of the transfer, it is applied to the article and when it is baked at approx 1160oC, the transfer melts on to it. We saw examples of both and it wasn’t easy for an untrained eye to spot the difference; but it is quite evident when you go to pay in the gift store which one is done by hand!! On a different subject, it has been interesting to see how the oceans have changed colour – we have gone from light green around Dubai followed by the sparkling sapphire blue of the Mediterranean to a curious navy/black colour in the North Sea. 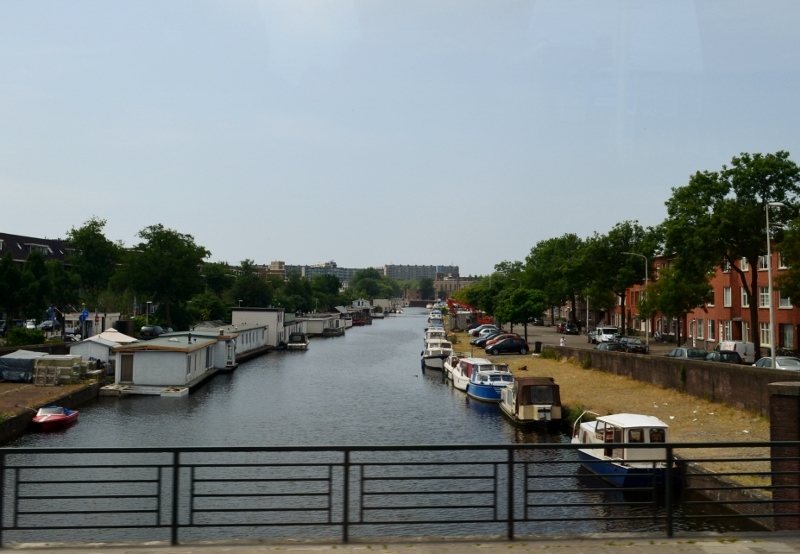 Posted on July 19, 2013 by Jill •	This entry was posted in Europe, Travel and tagged Netherlands, Rotterdam, sea princess, travel. Bookmark the permalink.